When Garbine Muguruza clutched her temple with both hands and shook her head repeatedly, she laid bare the throbbing pain racing through her body as her Wimbledon title defence was hijacked by a little-known Belgian on Thursday. The Spanish third seed often appeared dazed and confused as she headed towards defeat but once her torturous on-court ordeal was over, she had a clear idea of how it all went so wrong. She simply came up against a player who kept believing – whether it was with her serve, groundstrokes or net play. 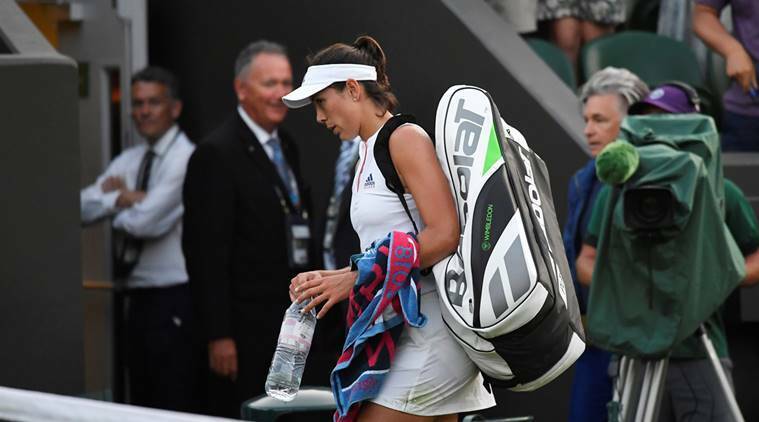 While Van Uytvanck’s reward was a place in the Wimbledon third round for the first time, Muguruza was off to join the snaking checkout queue – a line that already includes beaten Grand Slam champions Caroline Wozniacki and Petra Kvitova.